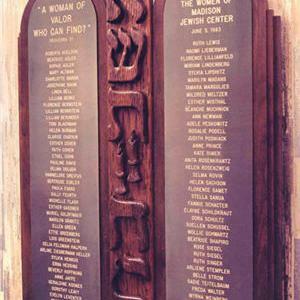 Unique designs honor the Valiant Women in the congregation who are the lifeblood of every Jewish organization. Contact W & E Baum to review this unique recognition program. Clear Plexiglas backgrounds have graphics laminated to the backs. The Jerusalem scene is outlined in purple painted aluminum. 7 days of creation graphics are laminated between Plexiglas. The title plate has the logo digitally printed on the back. Individual purple aluminum letters title the wall. Shaped CorianÂ® columns accommodate green-tinted acrylic engraved plates. 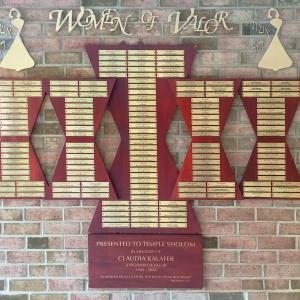 Custom cut individual brass letters and figures title the recognition wall. 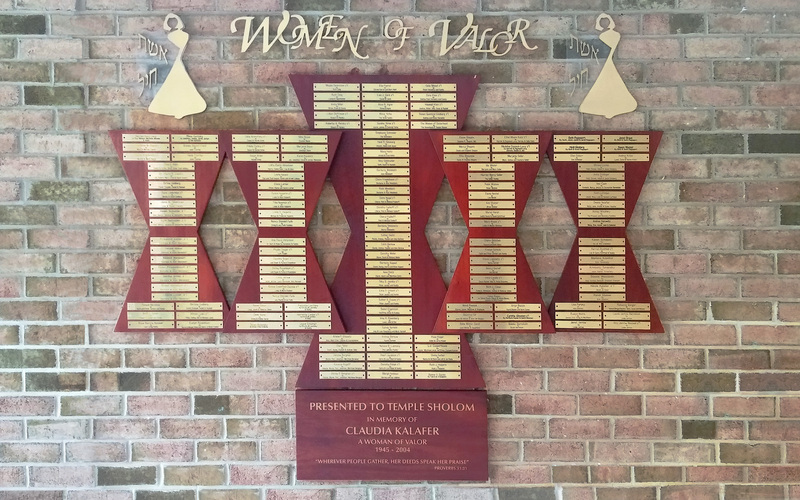 Carved walnut candles and flames are the centerpiece of this wall display honoring the congregation's â€œWomen of Valor." Multi- elevational mahogany columns accommodate 210-1" x 6" plates. Individual satin brass letters title the wall. 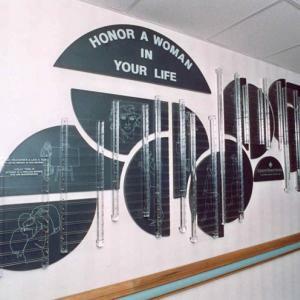 Images of women contributing to society are screened on geometric CorianÂ® shapes. 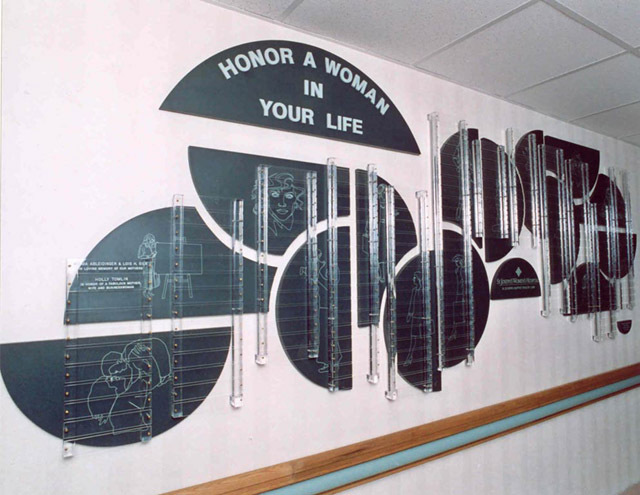 Clear acrylic donor plates mounted to acrylic columns float in front of the images. 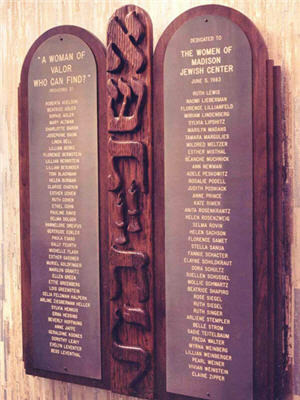 Contact us to discuss designs for your synagogue to honor women of valor.